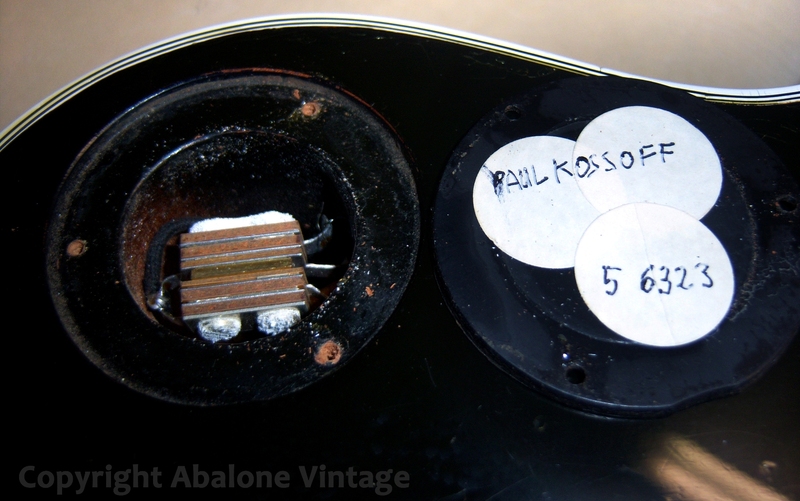 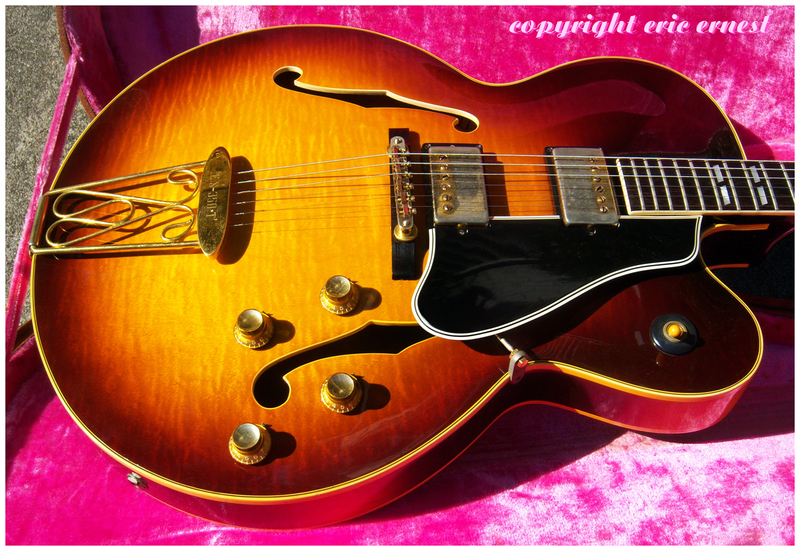 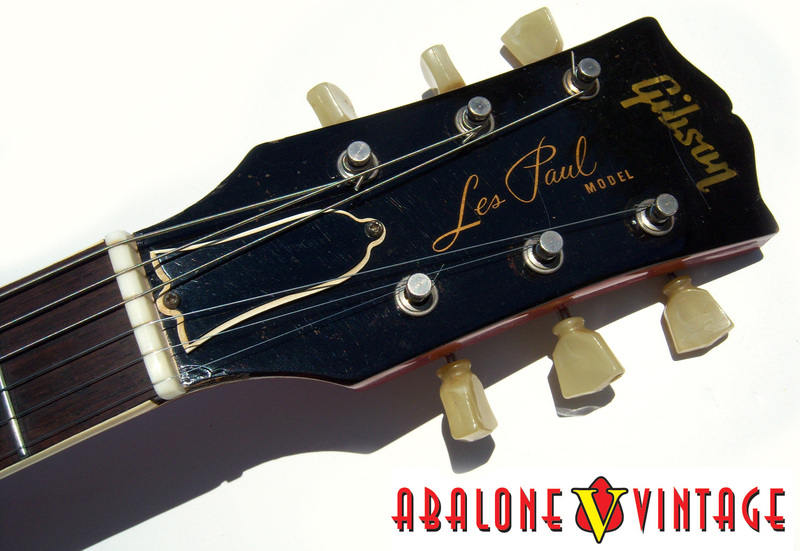 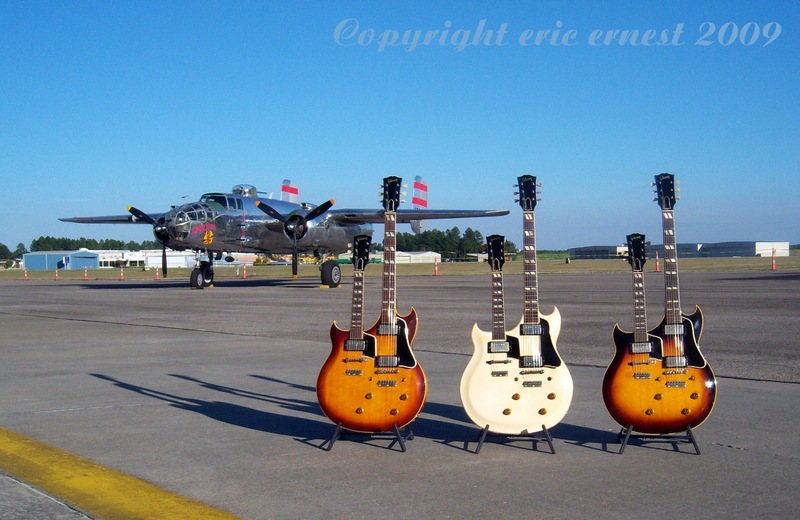 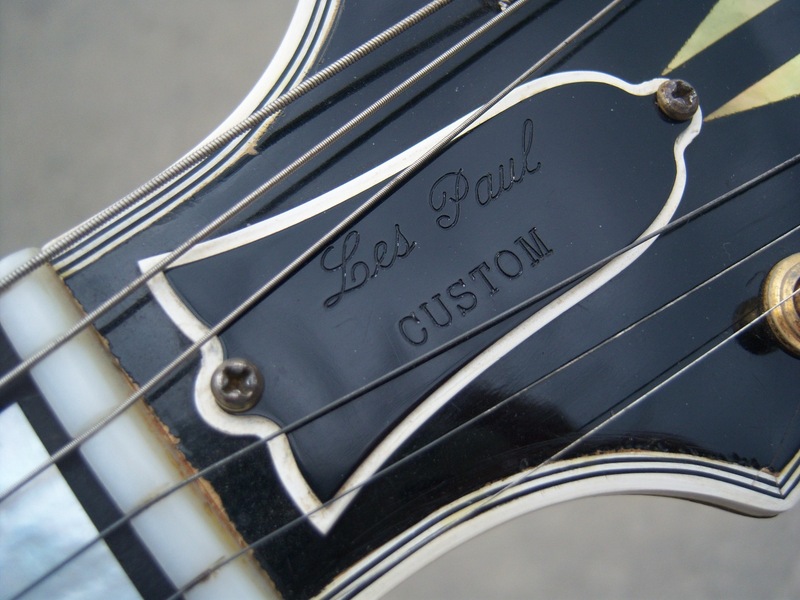 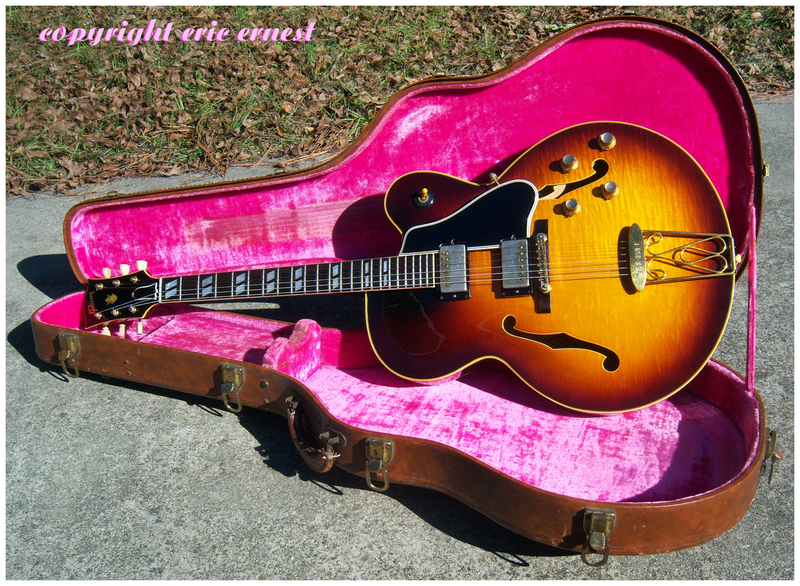 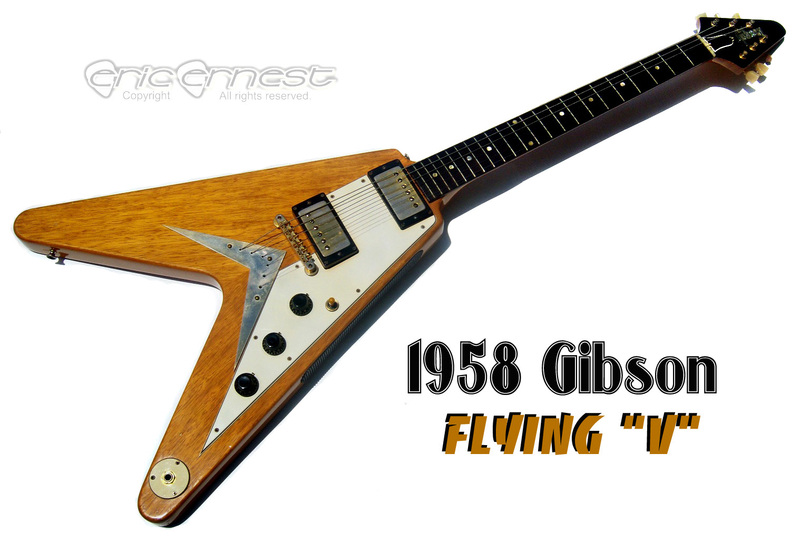 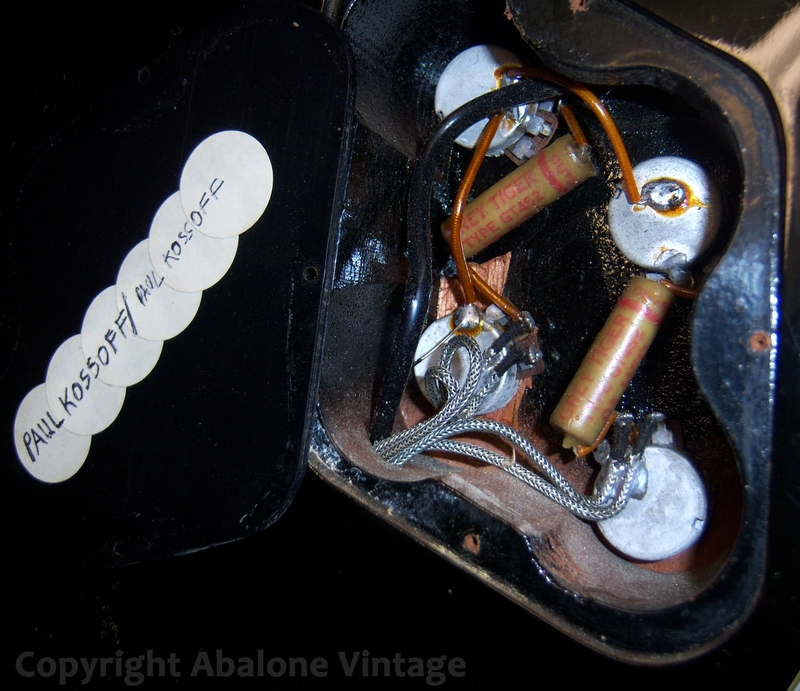 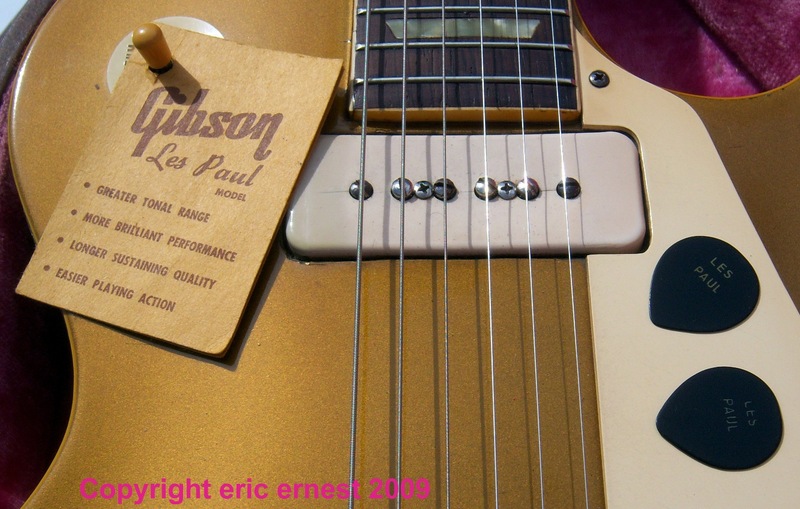 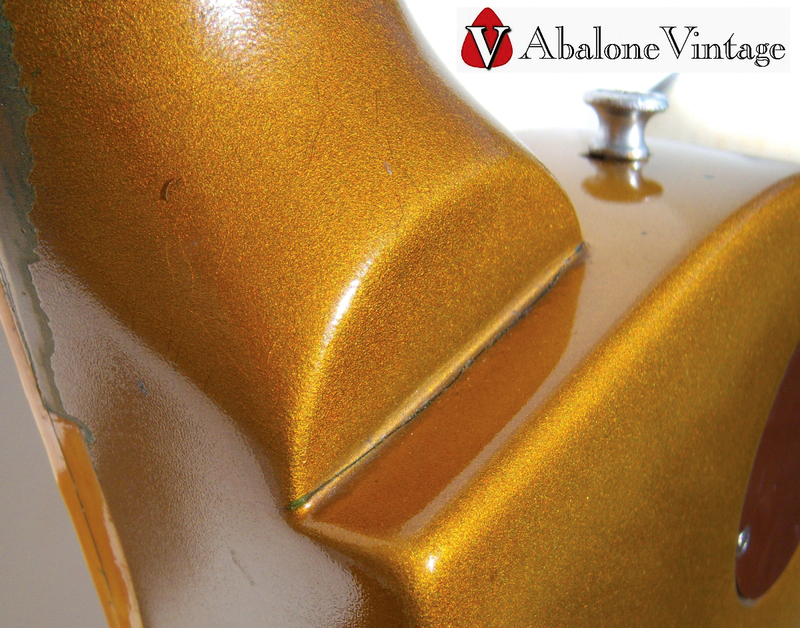 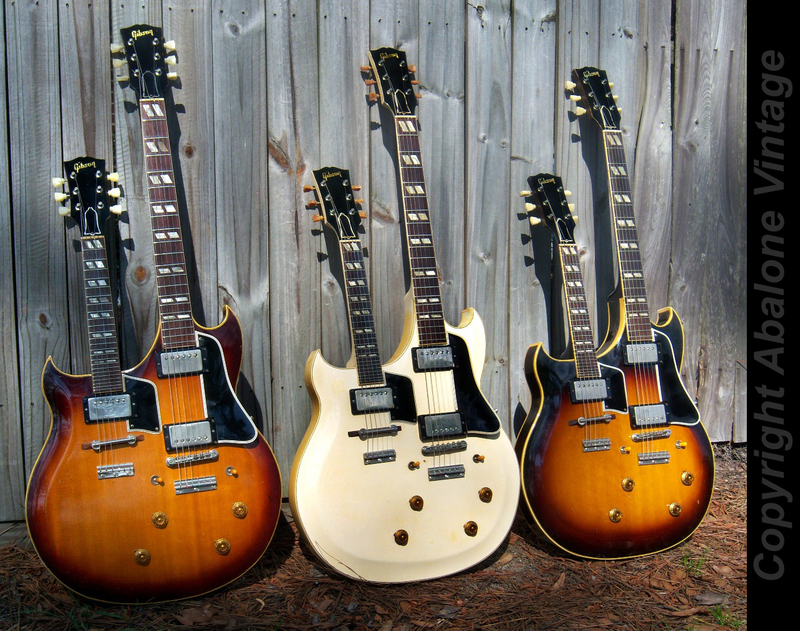 Photos of super delicious vintage 50's Gibson Les Paul, Flying V, ES-335 and other models too! 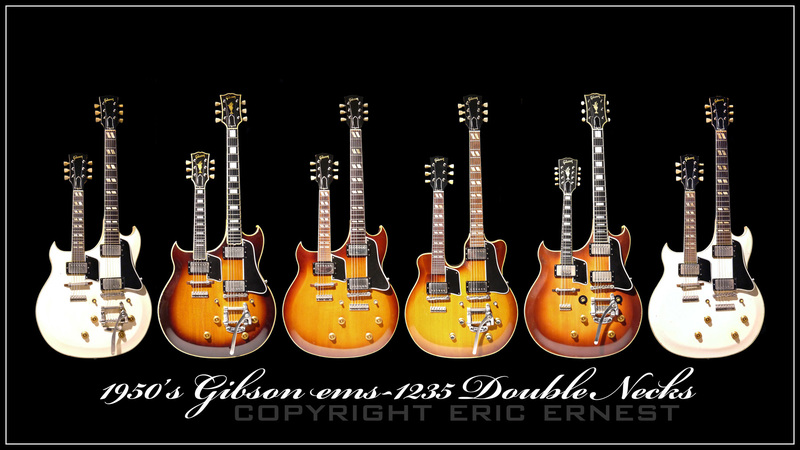 Peter Green / Gary Moore / Melvyn Franks / Kirk Hammett Les Paul. 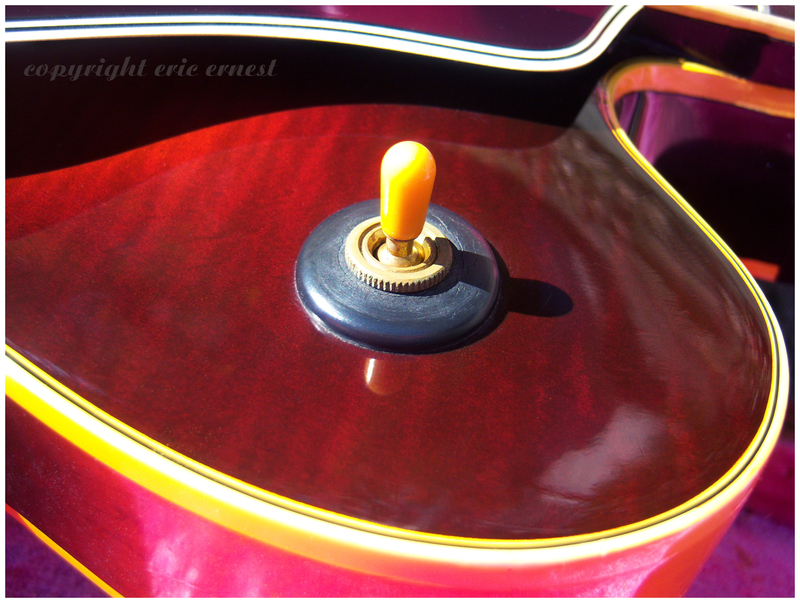 One of the worlds most iconic musical instruments. 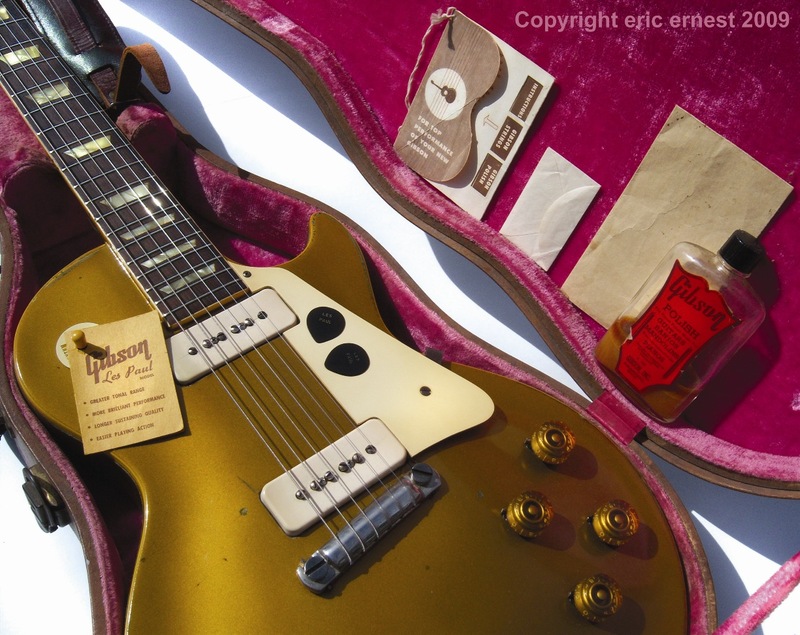 The 1959 Gibson Peter Green / Gary Moore / Melvyn Franks / Kirk Hammett Les Paul Standard guitar body photo. 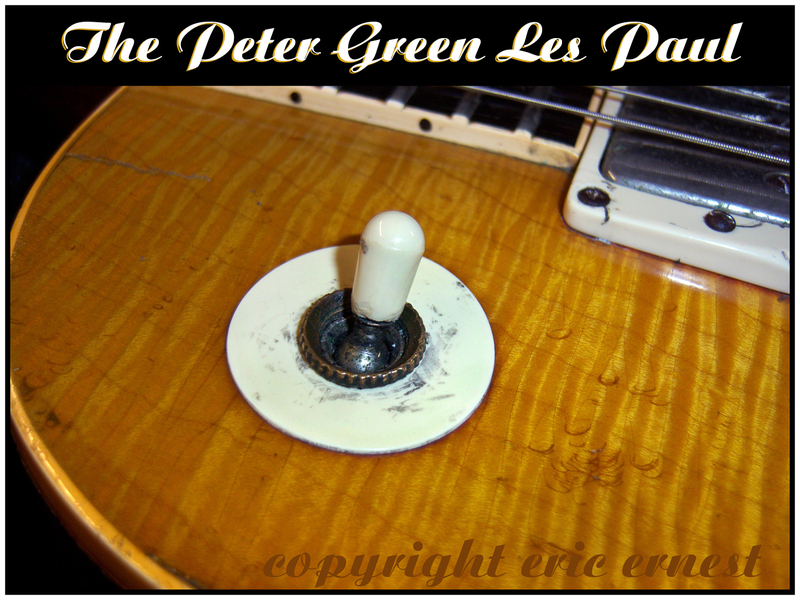 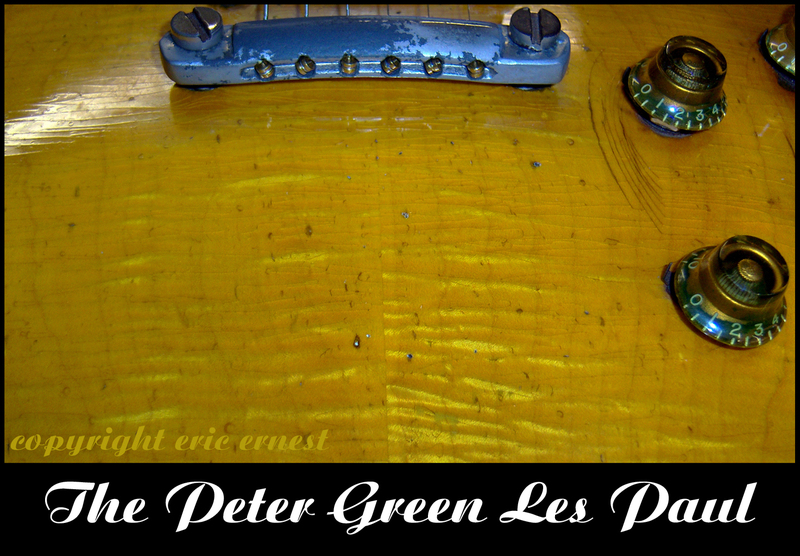 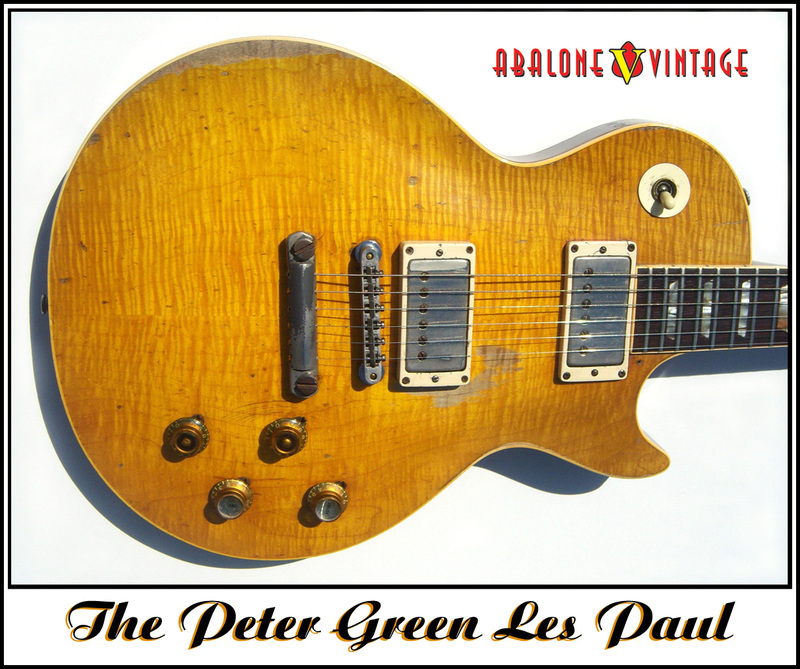 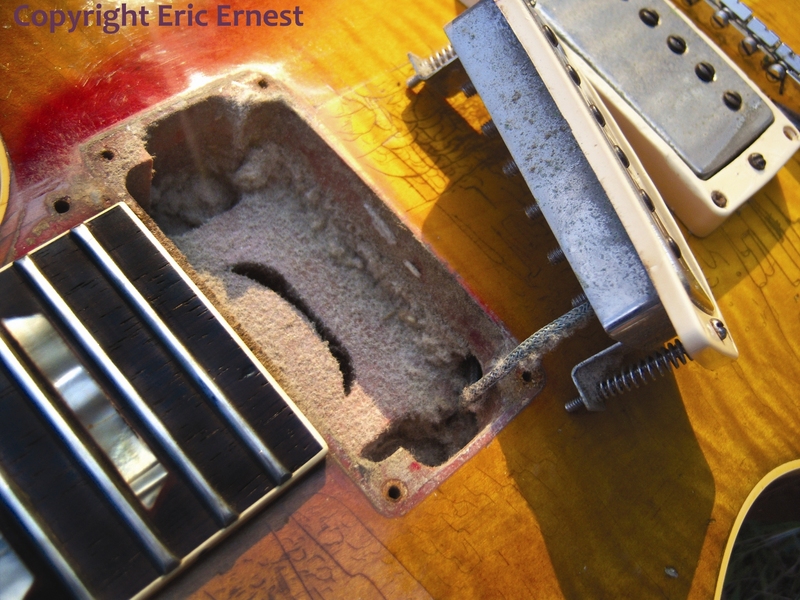 The Peter Green Les Paul / Gary Moore Melvyn Franks / Kirk Hammett Les Paul Standard guitar body photo. 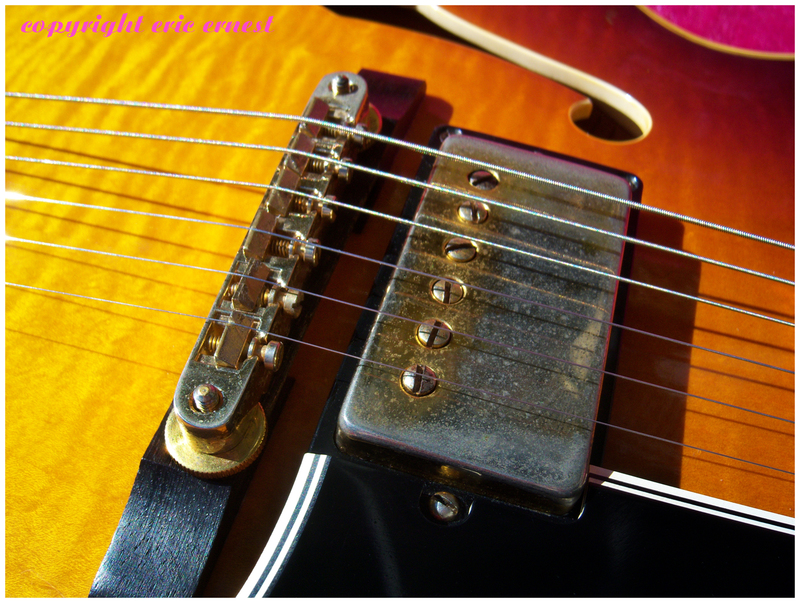 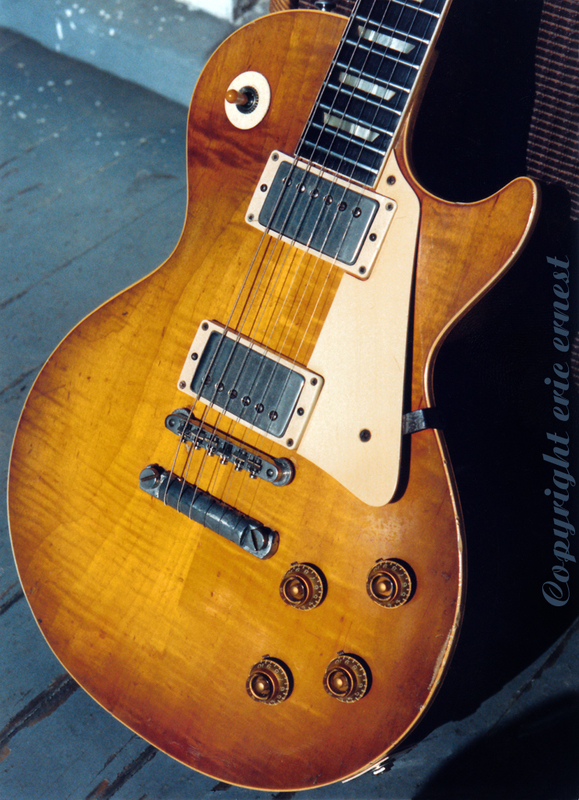 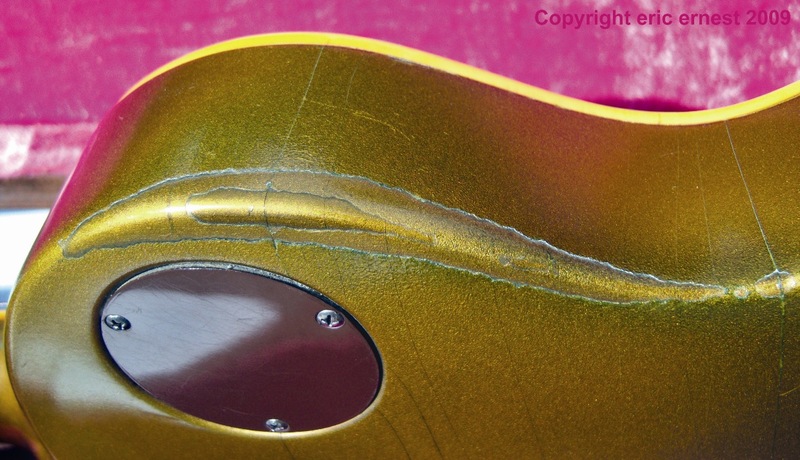 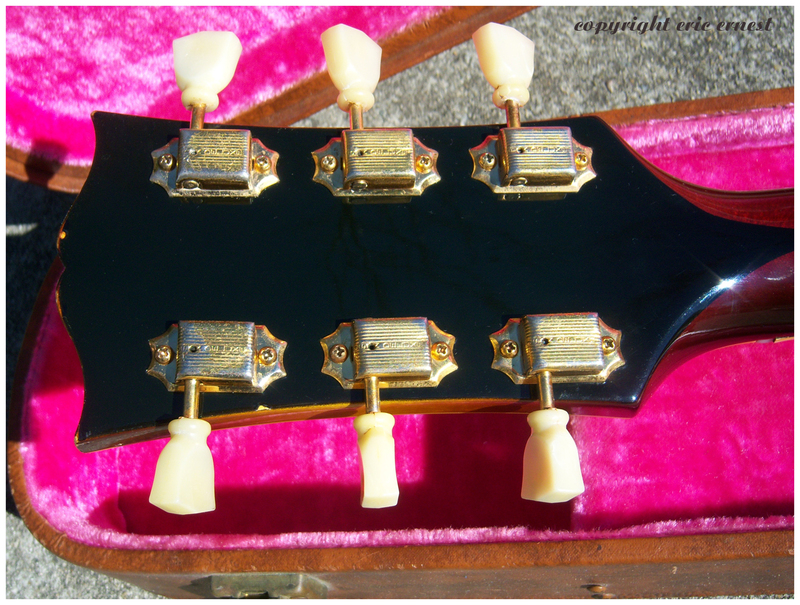 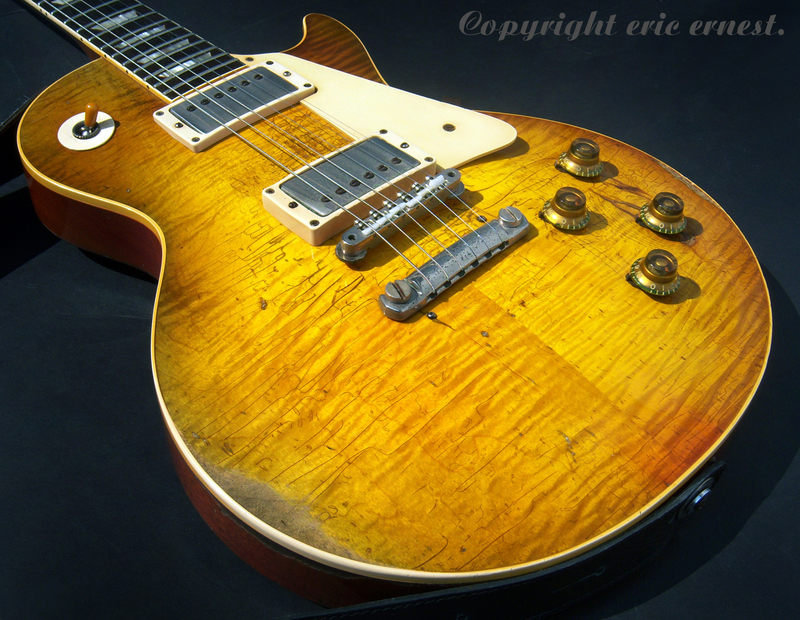 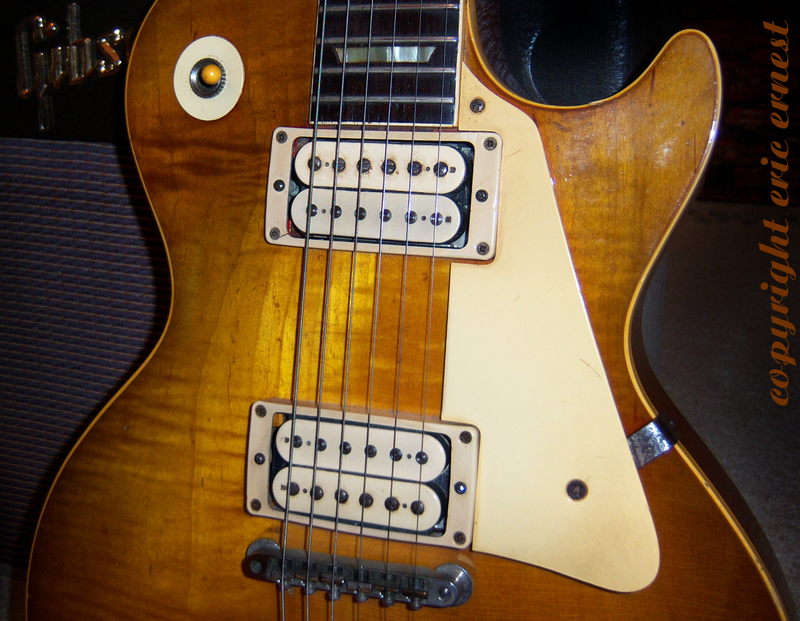 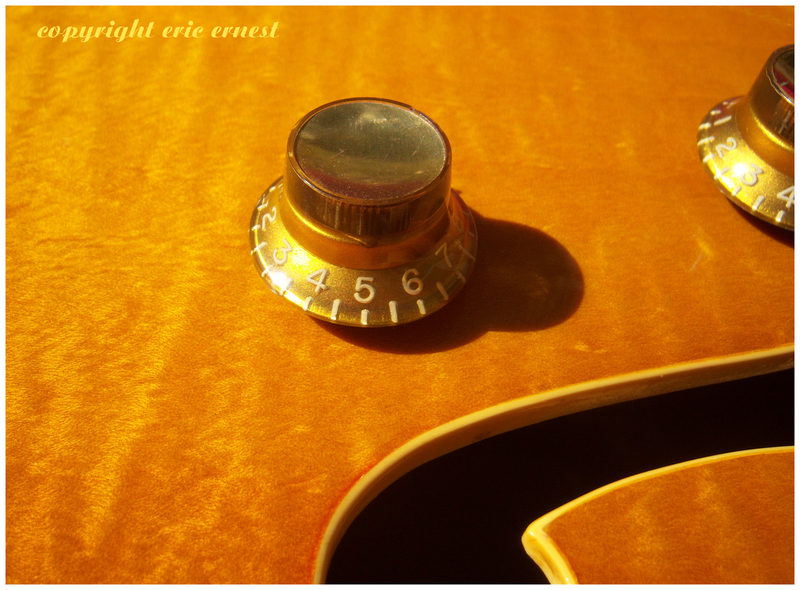 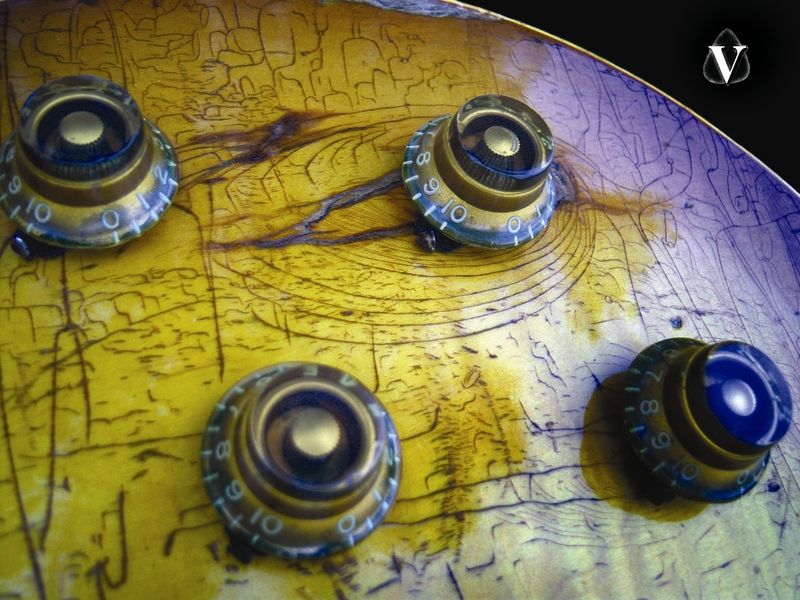 The 1959 Gibson Peter Green / Gary Moore / Melvyn Franks / Kirk Hammett Les Paul Standard guitar sunburst detail photo. 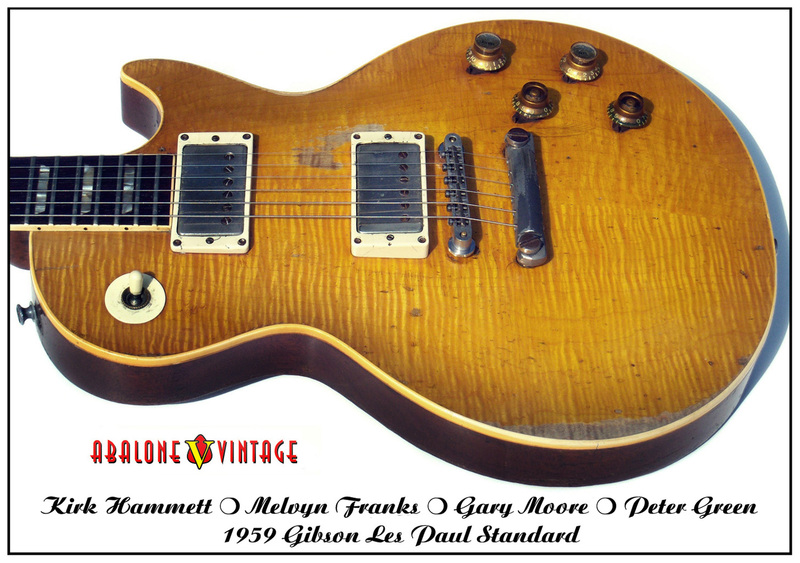 The 1959 Gibson Peter Green / Gary Moore / Melvyn Franks / Kirk Hammett Les Paul Standard guitar sunburst and stop tail detail photo. 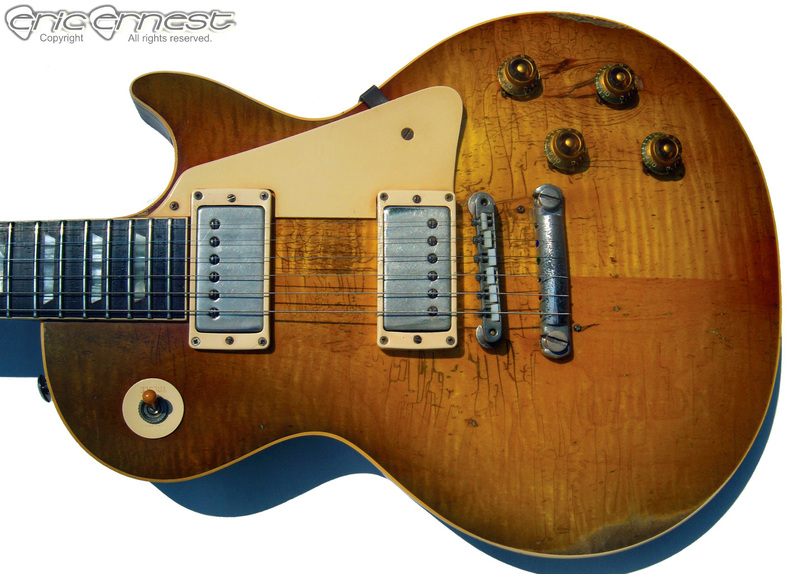 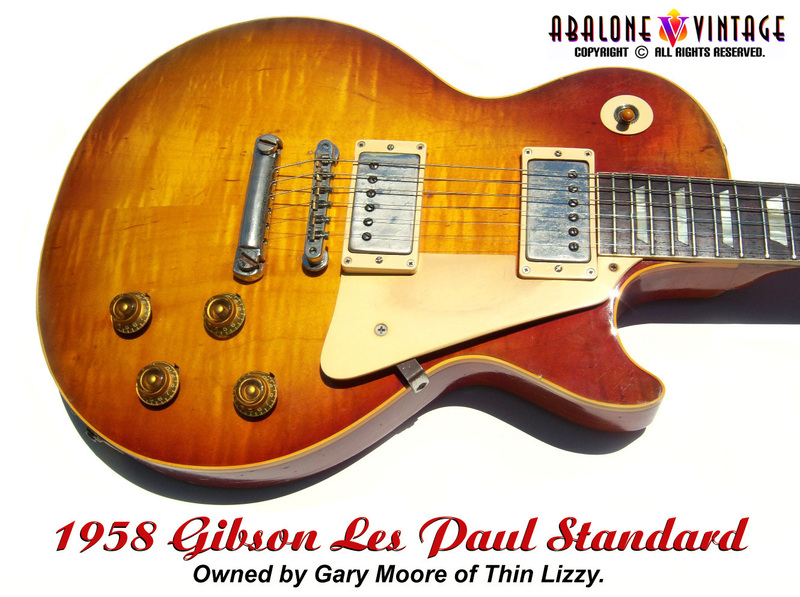 The 1958 Gibson Les Paul Standard guitar owned by Gary Moore. 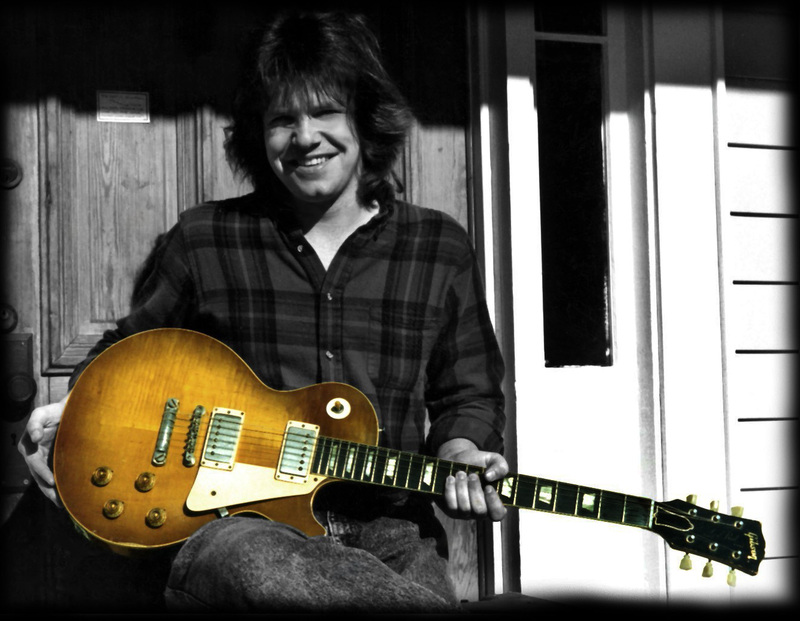 WOW, here's a pic of me with 9 0919 in 1989! 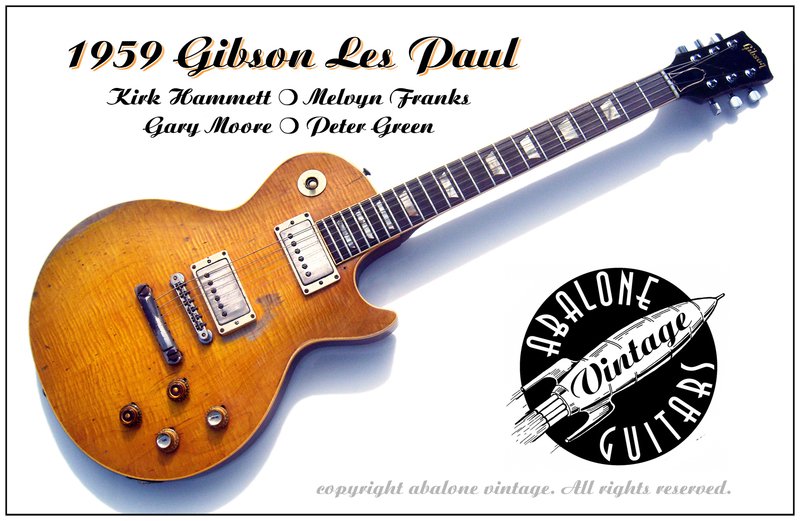 1959 Gibson Les Paul Standard with mojo in SPADES! 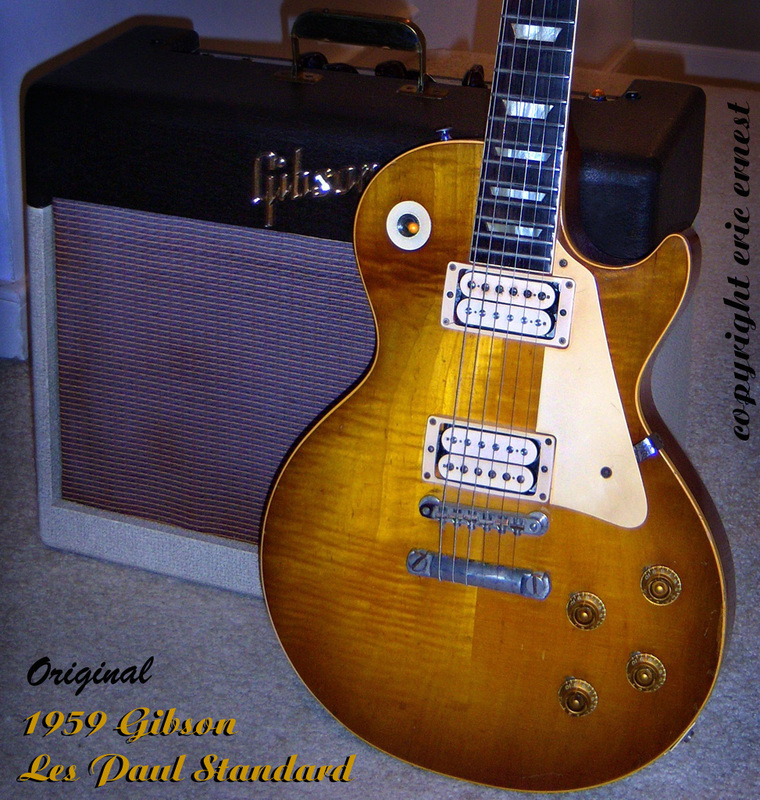 Vintage 1959 Gibson Les Paul Standard guitar. 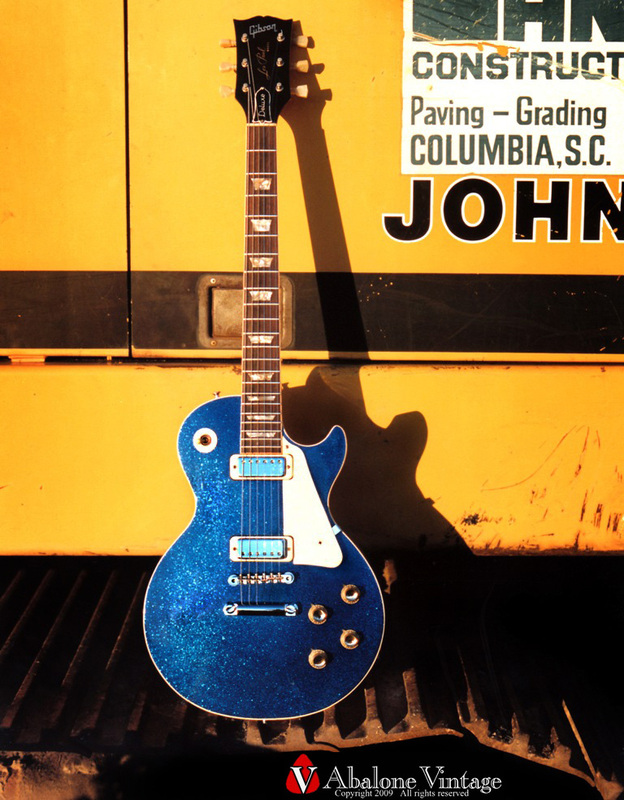 This guitar has the vibe! 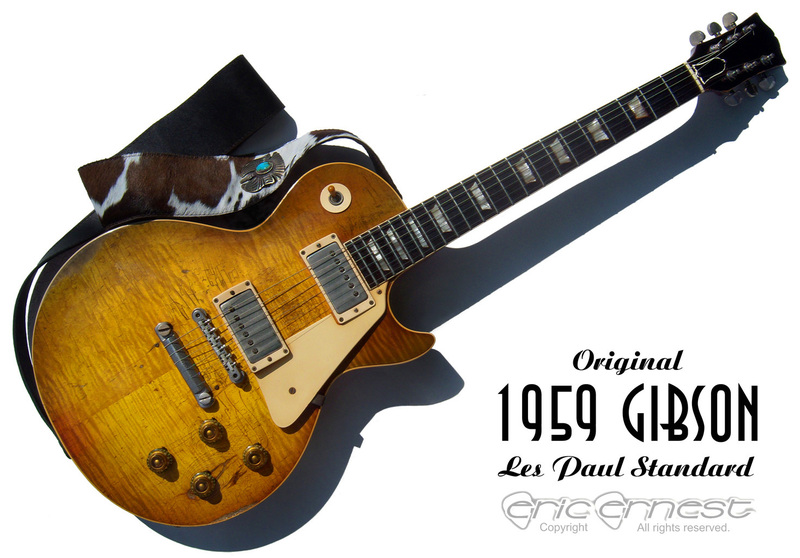 1954 Gibson Les Paul Standard guitar. 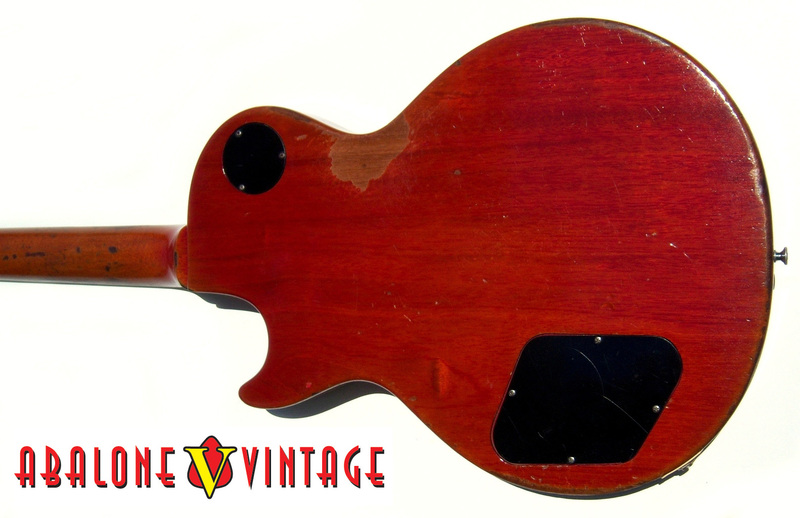 This is the first solid body electric guitar made by Gibson. 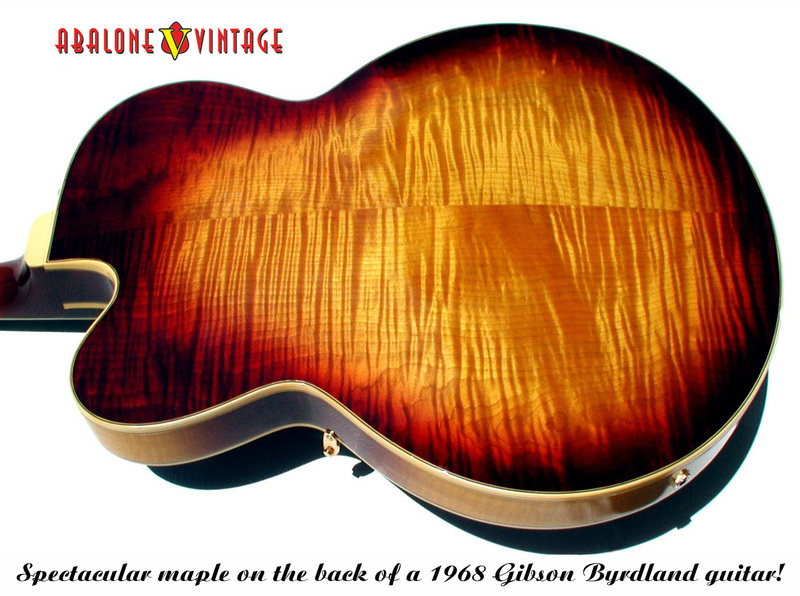 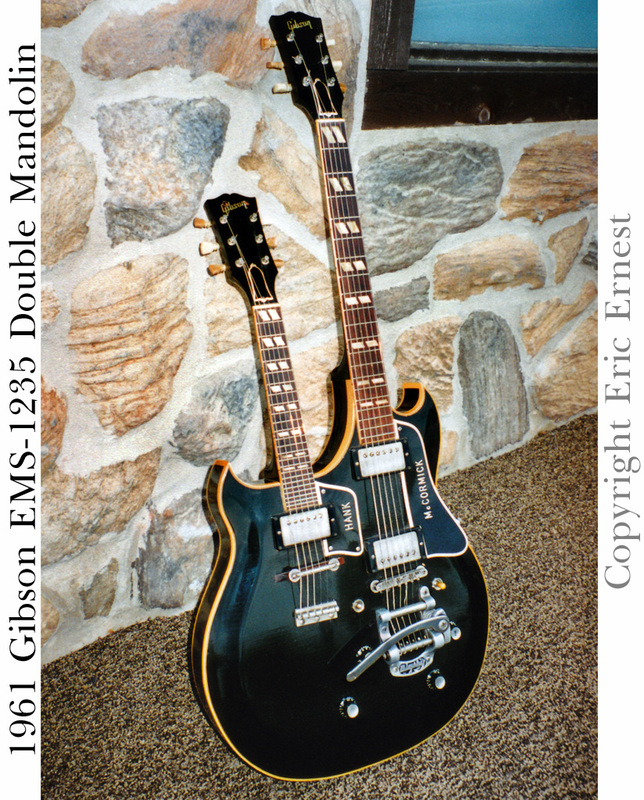 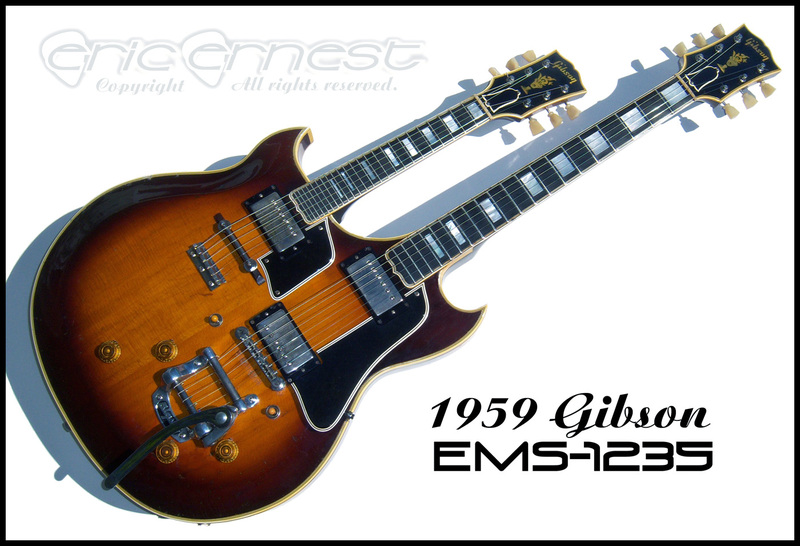 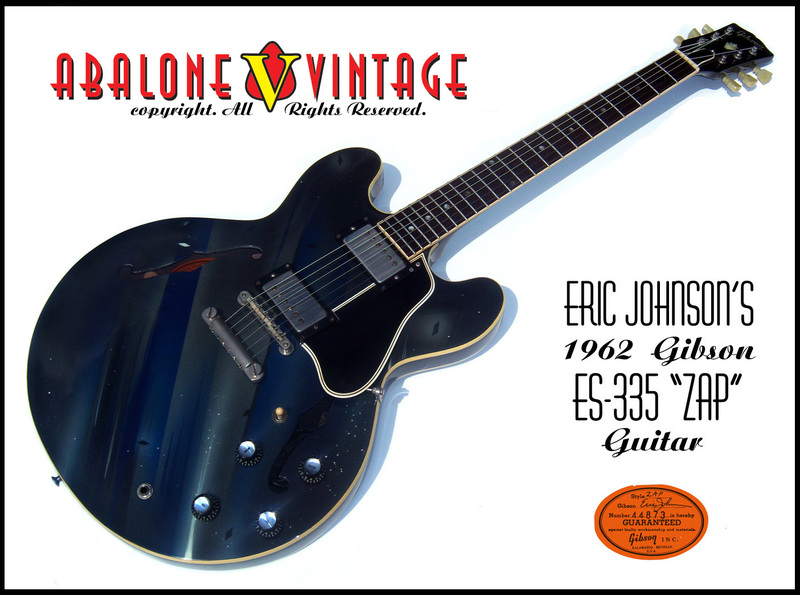 It is also the first electric doubleneck guitar made by Gibson. 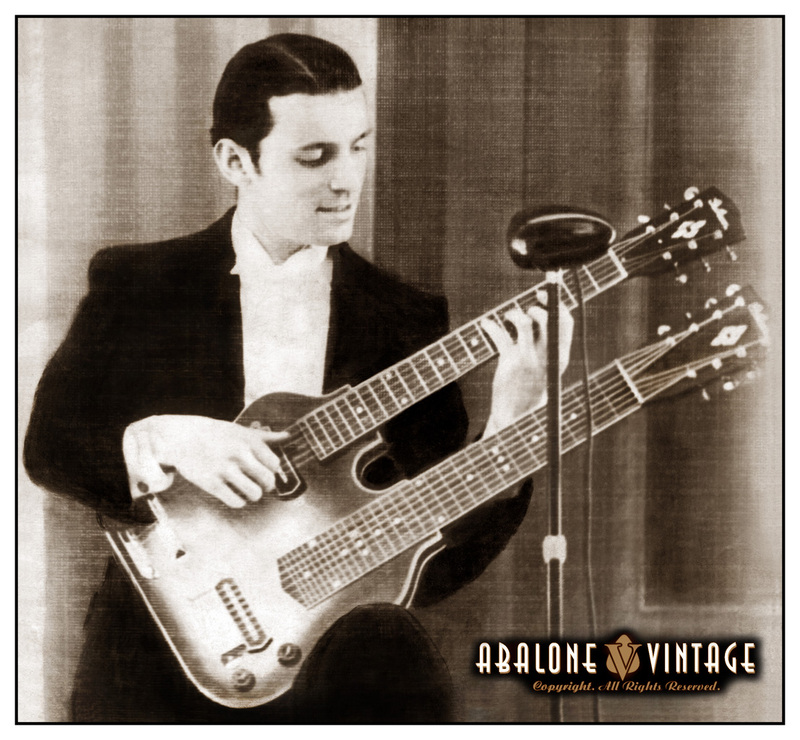 Pre-war rarity! 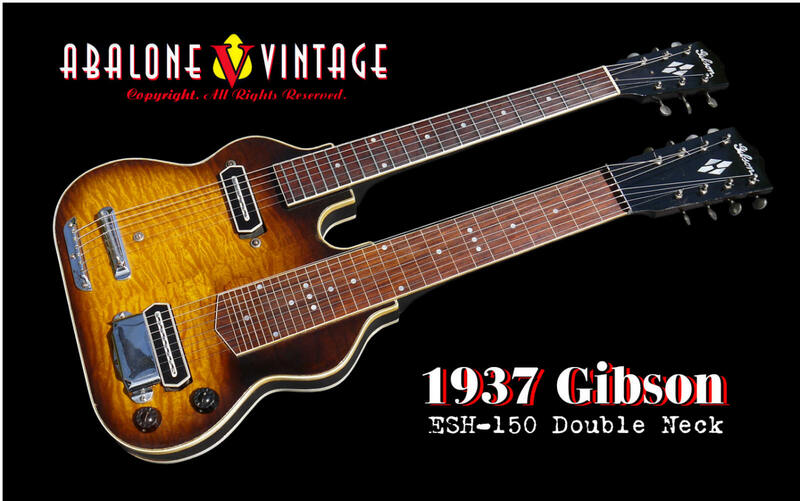 It is also the first electric doubleneck guitar made by Gibson. 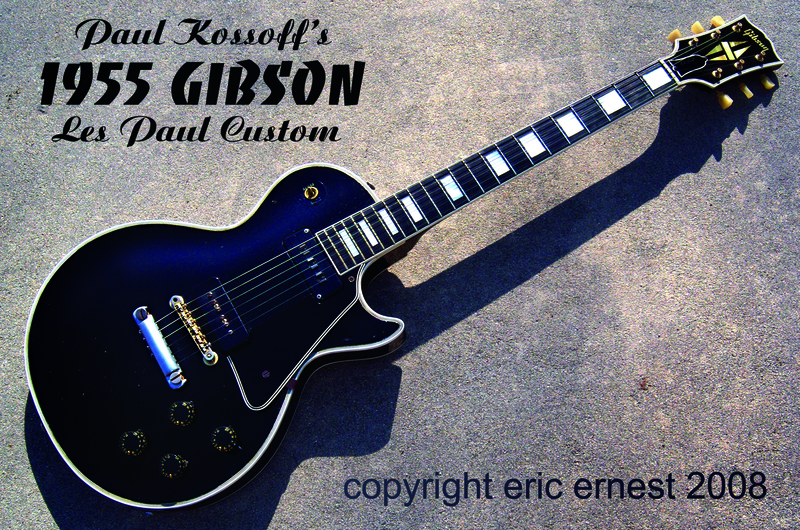 This photo is of the original guitarist who ordered the guitar from Gibson. 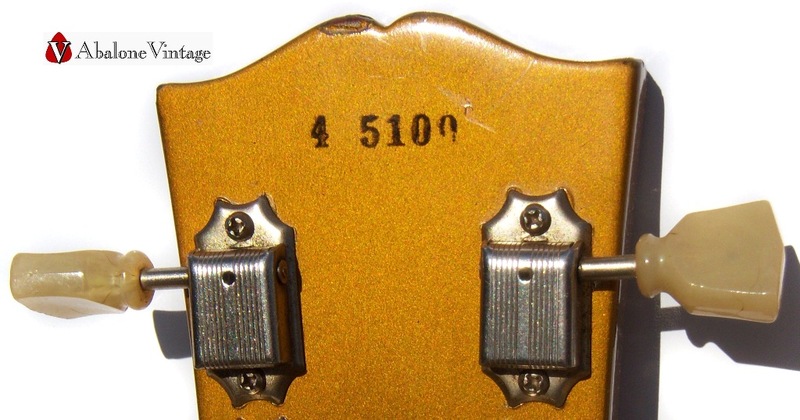 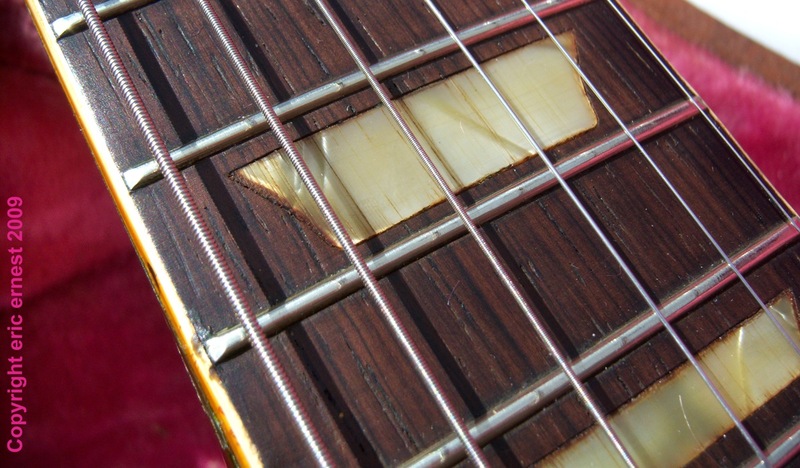 This guitar was made the same year the Hindenburg exploded! 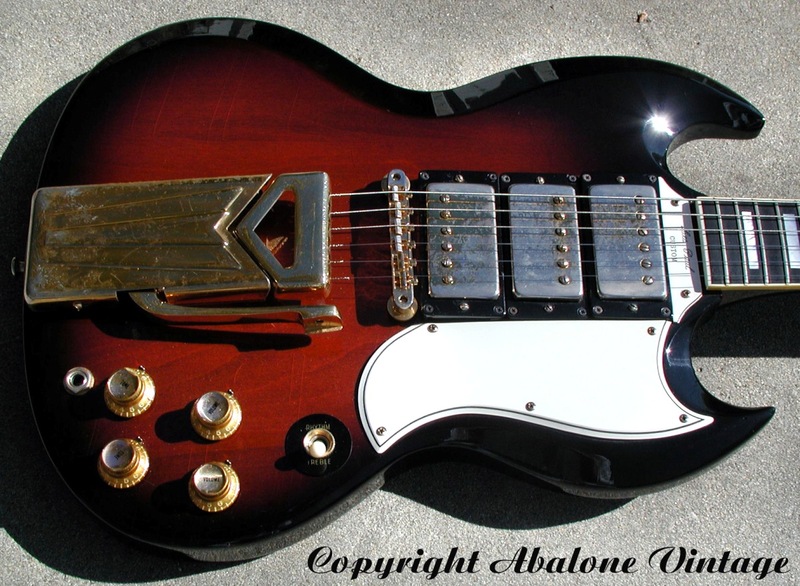 1961 Gibson Les Paul Custom / SG Custom in extremely rare sunburst finish. 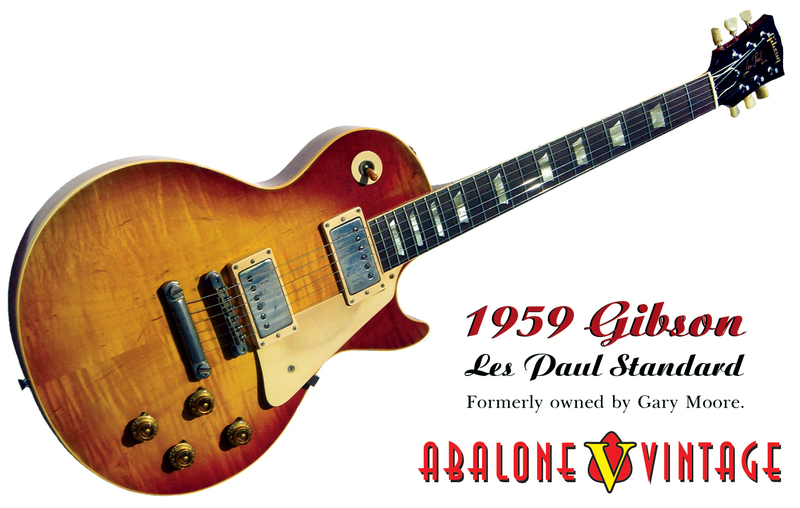 Now owned by Gilvis. 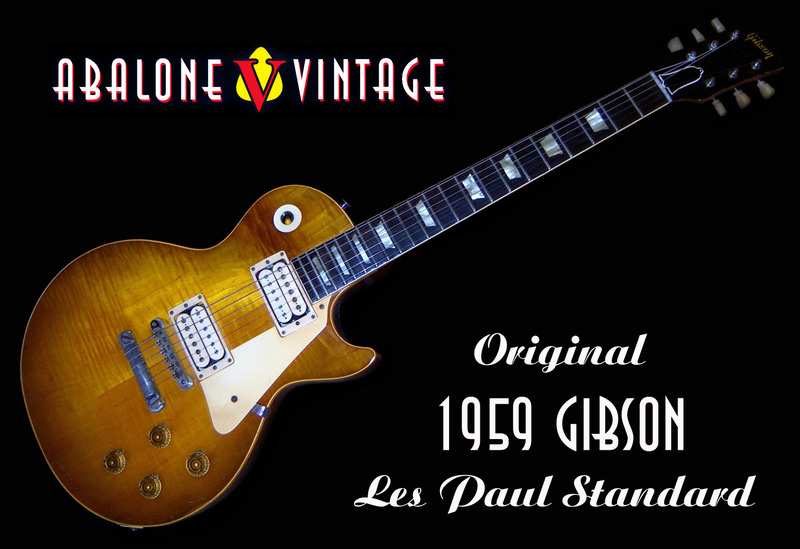 1953 Gibson Les Paul Standard guitar. 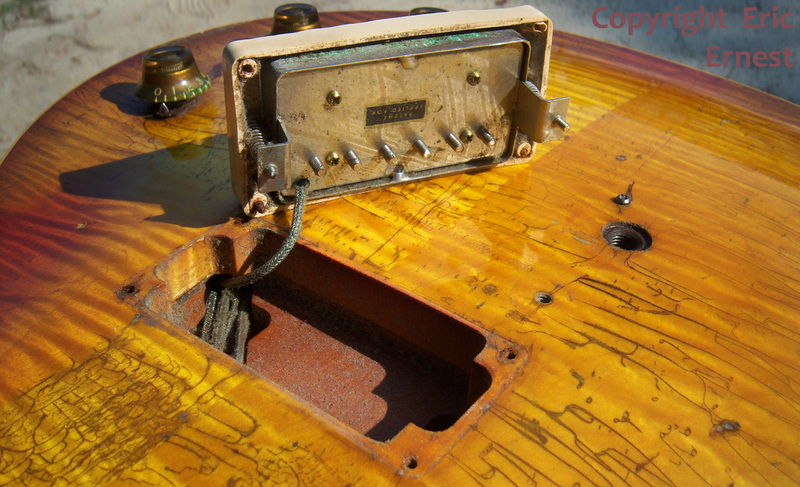 Gold top weather checking. 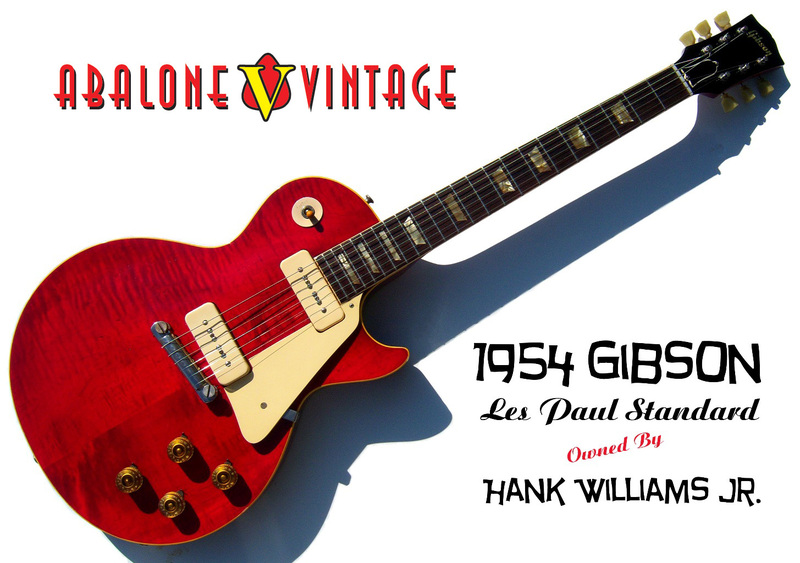 1953 Gibson Les Paul Standard guitar. 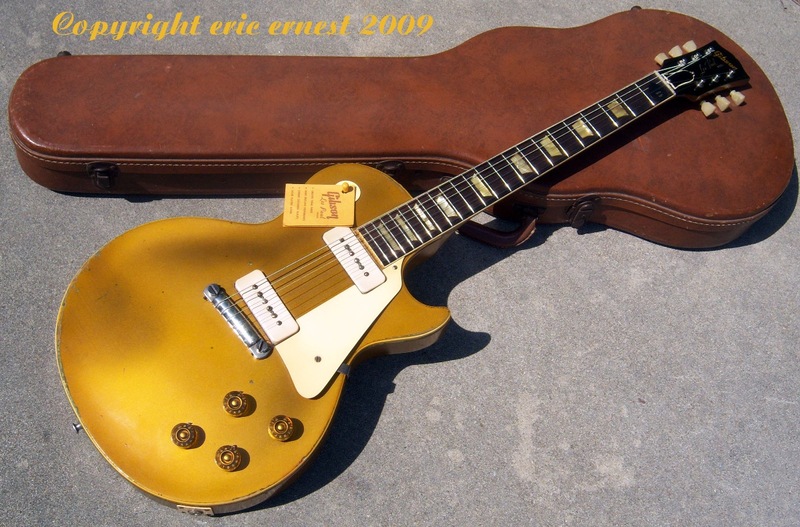 Goldtop weather checking. 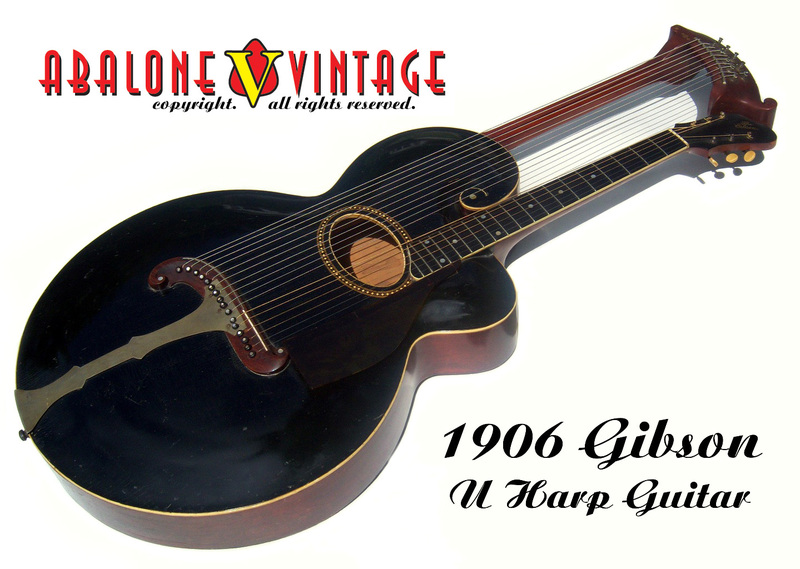 1906 Gibson 10 Course Harp Guitar. 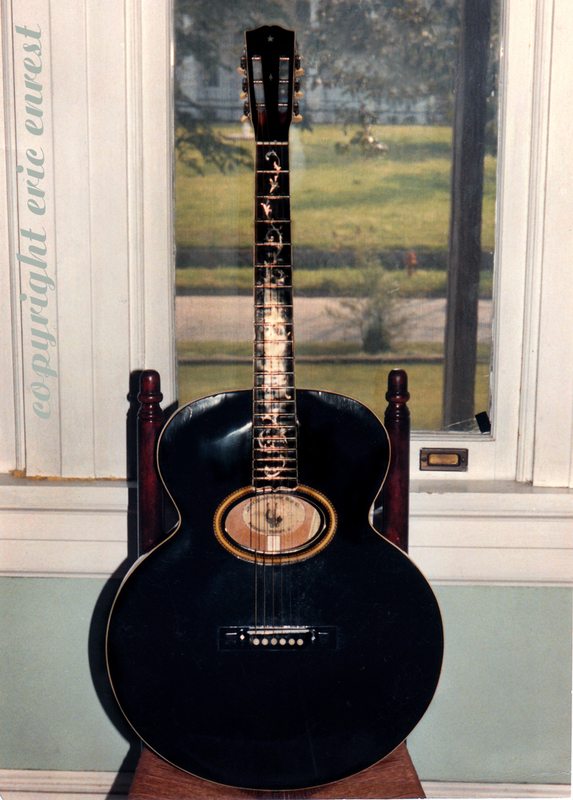 1909 Gibson Style O guitar with tree of life inlay.